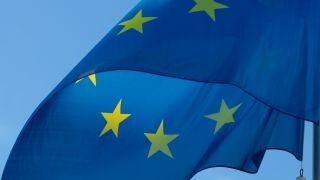 In a move that has been both praised and criticized, the European Parliament has given final approval to the Copyright Directive with the aim of updating Europe's copyright laws for today's digital age. 348 members of parliament voted in favor of the new copyright law while 274 voted against it. However, a last-minute proposal to remove Article 13 known as the 'upload filter' was rejected by just five votes. Now that the Copyright Directive has been approved, it will be passed on to EU member states who will have 24 months to make it into national law. The directive has been in the works for over two years during which time it has been subject to lobbying from groups in favor of it, such as copyright holders and digital rights activists, as well as by those who oppose it due to how it could restrict the global internet. Individual EU member states will need to decide the details of the legislation themselves but the law will likely have huge implications on how the Internet works in Europe and the way in which US businesses and those from other regions interact with their European counterparts. Those in favor of the directive believe it will help balance the playing field between US tech giants and European content creators as they will now have more control over how their content is distributed on internet platforms. However, critics of the law believe it will stifle innovation and free speech by restricting how content is shared online. Article 11 often referred to as the 'link tax' and Article 13 known as the 'upload filter' have remained largely unchanged despite growing criticism. Article 11 allows publishers to charge platforms such as Google News when they display small pieces of news stories while Article 13 places new responsibilities on platforms such as YouTube to prevent users from uploading copyrighted content. According to critics, both articles could prove problematic with Article 13 possibly leading to the introduction of “upload filters” used to scan user submitted content for copyrighted material before it's uploaded while Article 11 could drastically alter how Europeans experience the web as we know it today. The Copyright Directive has received final approval but we won't know exactly how it will affect the internet in Europe until EU member states implement it into law over the next two years.